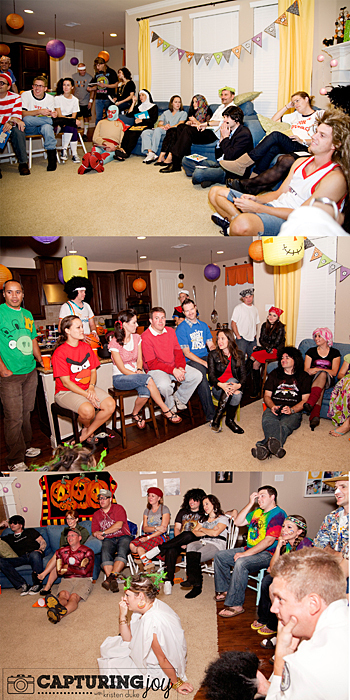 For the past 5 years or so, I’ve organized a Couples Halloween Party at my home, filled with spooky food, scary games, and great conversation. I have a love/hate relationship with this affair. I love it because it is SO fun to get together with our friends, see the crazy costumes people come up with, find out funny and new stories from said friends, and eat a bunch of festive Halloween food. Not so fun because I agonize for MONTHS before on whether or not I will do it because I can’t invite the world, and inevitably I will leave someone out and hurt feelings. Still haven’t decided if I’ll do it this year. In the end, I usually decide I want to have fun and hope and pray that I will not hurt another along the way. 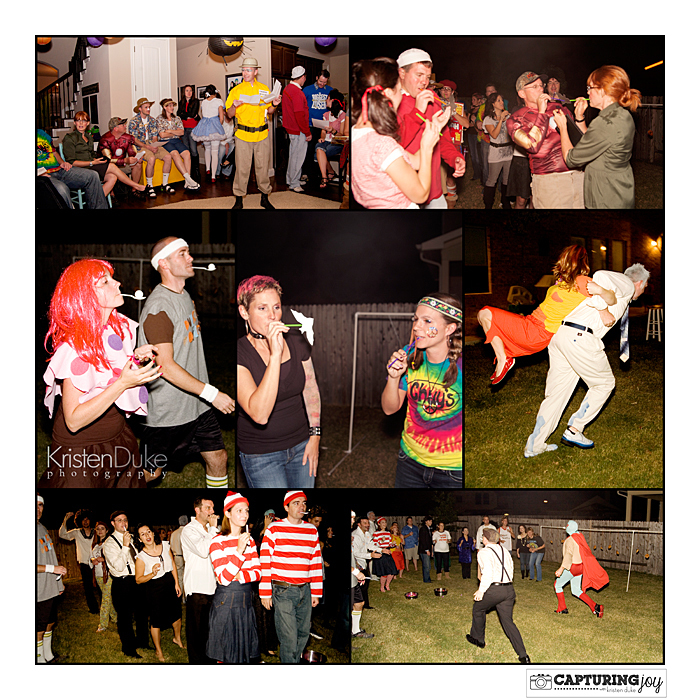 Every year when I do the party, I look online to see if I can get more ideas for activities and games for adults. But I can never seem to find anything new. I like to change it up from year to year, so don’t want to do the same thing as the year before. 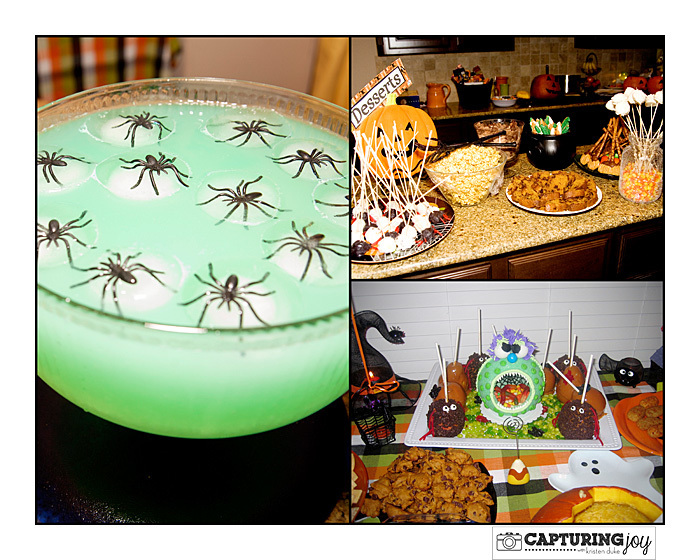 There is always so much about food and decor, but nothing about Halloween games for adults. 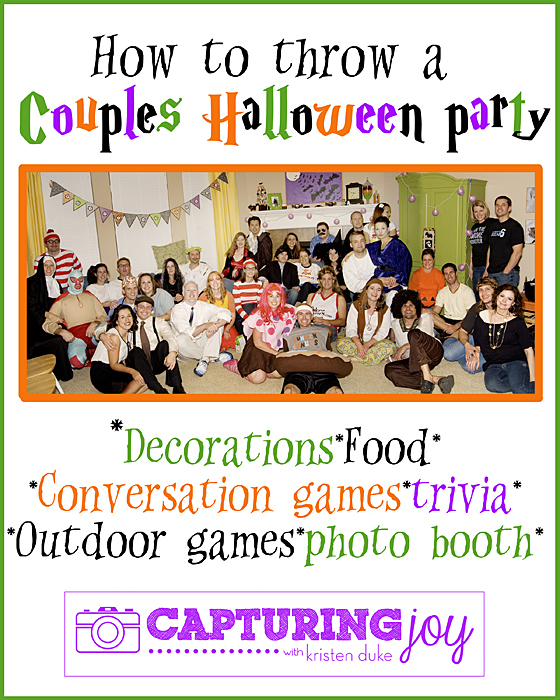 I thought it’d be fun to share what we’ve done for fun at our parties so that maybe this can help someone else out. I’ll share a handful of ideas, not necessarily all done in one night, but over a few different parties. 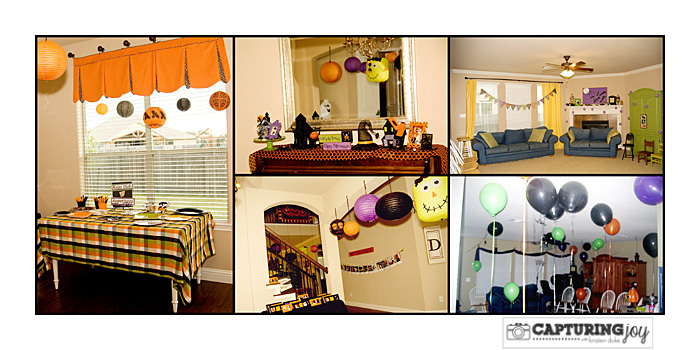 I tend to fall in line with the cutesy Halloween decor vs. the scary and creepy. Just not a big fan of scary blood and guts! Give me the pumpkins, spiders, bats, cute witches, and friendly ghosts. 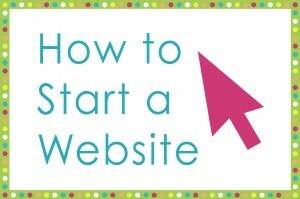 But there are so many fun ideas out there as eye candy on the web. Feel free to peruse my Halloween Pinterest Board to get a feel for the cutesy Halloween that I like. 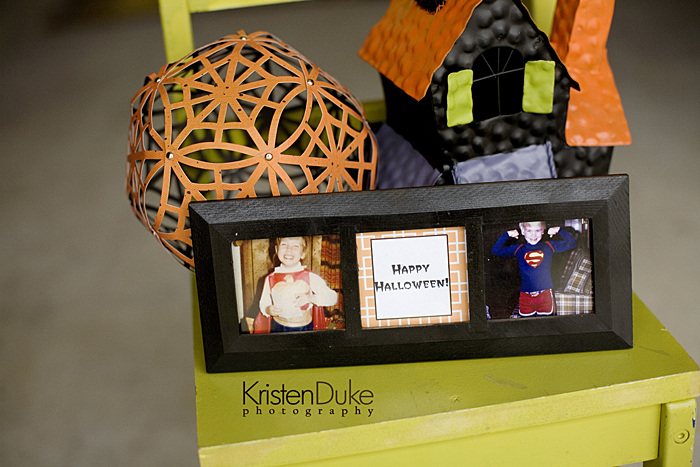 I’ve also collected paper lanterns in all colors, and like to hang the black, orange, purple, and green. I’ve even done a bunch of balloons. Also, as part of the ambiance, we turn on a Halloween Pandora station, and all sorts of fun music is played throughout. Just because I say it starts at 8pm doesn’t mean everyone is on my doorstep right on time. 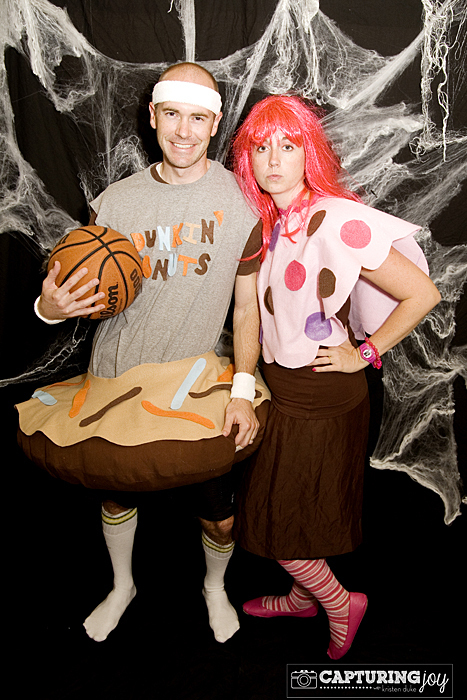 Couples are wrangling kids, fixing their costumes, and instructing their babysitters–that takes time. I figure we have 20-25 minutes of “gathering” and so we fill that time with fun. 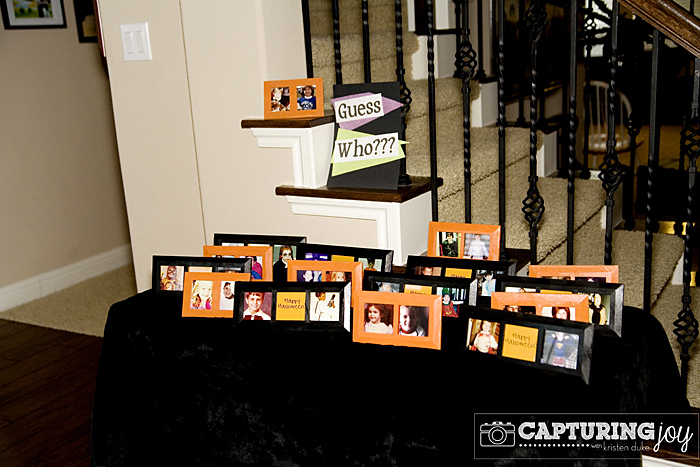 One year, I had everyone get me a picture of themselves as a child beforehand, and I made frames for everyone, and it became a take home gift. 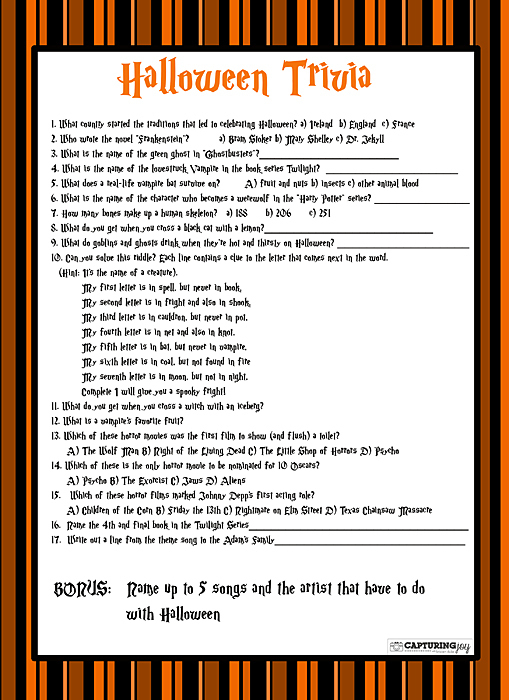 Then, we’ve done varying forms of Halloween trivia: Some fill in the blank, some multiple choice. All having to do with the Halloween theme. Couples work together, and whoever gets the most right, wins a prize from the black cauldron (I get fun Halloween treats form World Market or other small items). They are 8×11 documents. It can also be a fun game for older kids! As a photographer, I have tried to set up a little backdrop–one might call it photo booth now–to take each couples pictures. 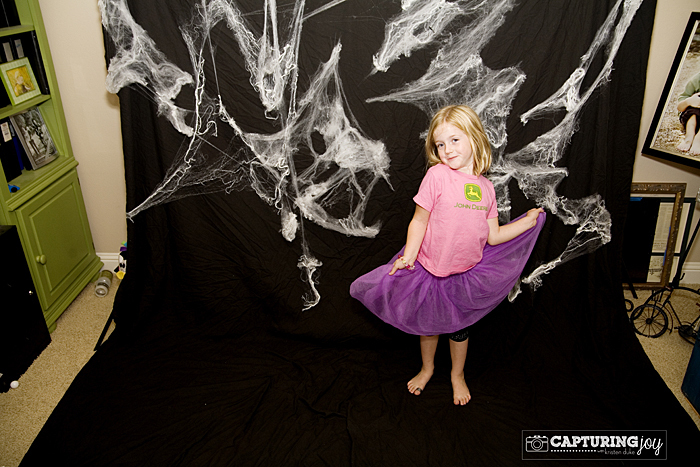 My fave was the black backdrop and spiderwebs. I don’t want it to be too crazy colorful though because I don’t want it to compete with costumes. I try to get the pictures to the couples soon after. When I send out the evite, I have a drop down list of items people can bring. I host, decorate, prepare the fun, and have paper products, but I don’t make anything. One of the greatest decisions I’ve made! I have a link to recipes in the evite so people can look over the recipes, decide what they want to bring, and then we get a great variety of appetizers/dessert ratio and no overlaps. 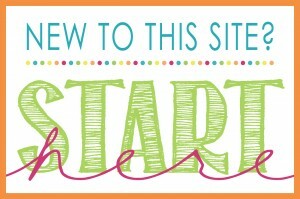 To view the link with all of my past recipes, CLICK HERE. They are ALL Halloween related. Main Dish is often “dinner in a pumpkin” with lots of appetizers and desserts. We usually start the party at 7 or 8, so people are hungry! Most of the time, people bring what they signed up for, in a few cases, they went their own way, but it is often along the same lines. Don’t just bring a bag of potato chips to my Halloween party–each couple has a very specific food assignment. I am ALL about “get to know you” games. 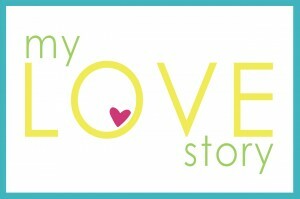 It’s my favorite part of these gatherings, to hear a story from everyone. It’s tough though when the numbers are high because is you have 40 people, and each have 1 minute (that never happens) then it’s 40 minutes of storytelling that is FUN but people get restless. What I like is for everyone to sit in a big circle. That way we can see each other. Each person gets 2 questions: 1 quick and easy, one storytelling question. 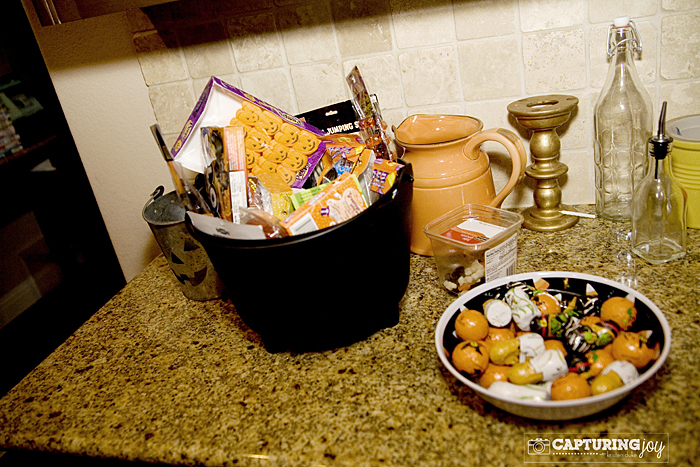 Last year the questions were 1) What is your favorite treat to get in the trick or treat bag (think mini candy bars). 2) Share a gory story with the group of a broken bone, time when you got stitches, or feared your life. It was SO fun and hilarious to hear the stories from everyone! Most of us knew each other and had no clue from a couple getting carjacked to sibling rivalry leading to scars. We’ve also done “would you rather” spouse style and have each couple guess if their spouse would rather swim in a tub full of cockroaches or walk a tightrope between 2 tall buildings. Luckily the weather is quite nice in Texas in October. Moving outside is generally a way of cooling off after being in a room with everyone listening to stories for an hour. I’ve played a number of different outdoor games. Our fave is simply to line up PVC pipe poles and tie donuts to strings and have couples attack the donut. Whoever finishes first…wins! Small prizes from the cauldron for winners. For another game, we got eyeball ping pong balls and put a spoon in our mouths and ran around a course. This was a team game, after 10 people, it got exciting to see who’d win! We also made a ghost out of paper and passed it between a straw, even bobbing for apples. It really is a lot of fun to gather together good friends, and have good, clean FUN without the kids!!! 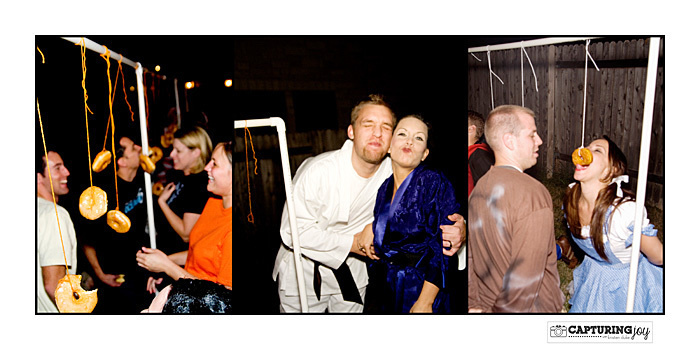 Have you hosted or been to a couples Halloween party? 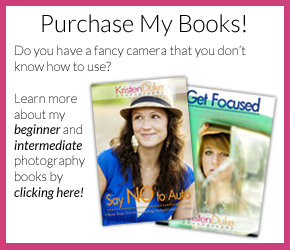 I’d love more ideas for activities, games, conversation pieces…please share! 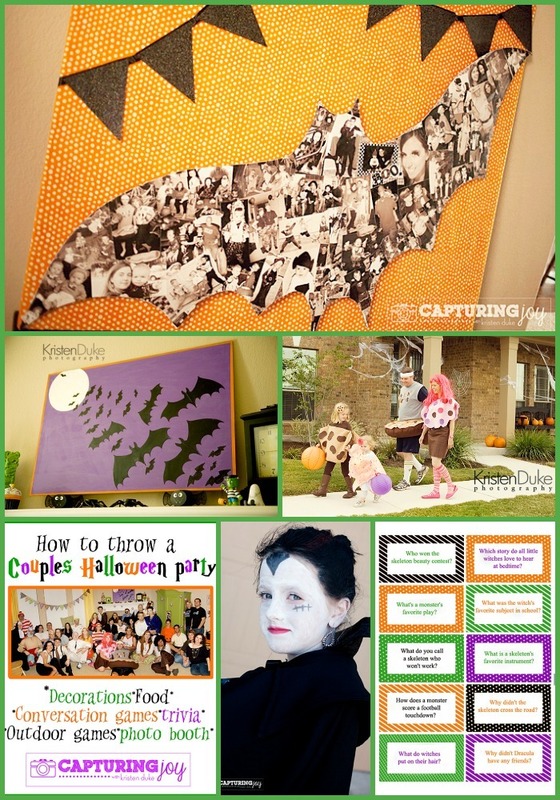 Your kids may also enjoy these fun Halloween activities!